There are very simple methods you can return file online without guidelines expert that is my instructions. Because should be available From-16 in your persent employer. If from-16 is not available so how can you found . You can receive from 26as . This from is better performance to return efile . Second- By online website income taxdepartment but there are no name of from-16(26As). There are very simple methods to check dowanload from - 26AS. 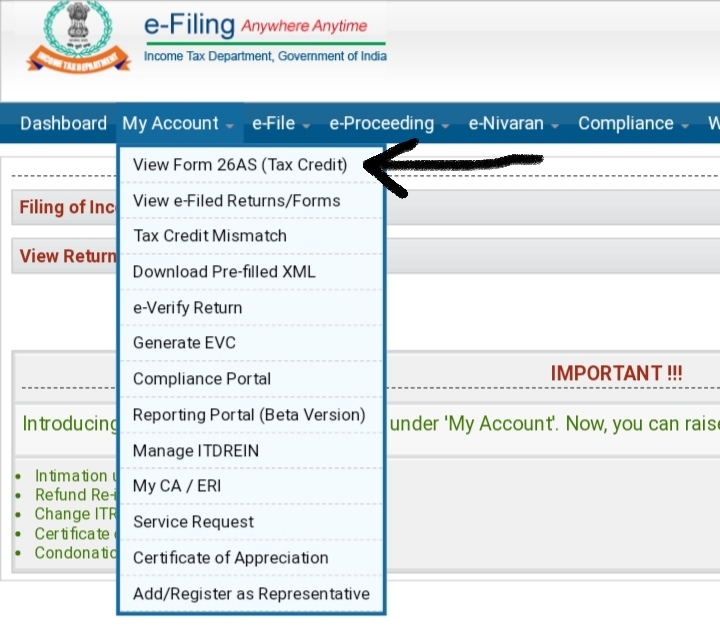 First of all you go to login income tax department protal and check here to my account or you can see view From 26As(Tax credit) then click here. If you have not registration income taxdepartment for return file please see the details. 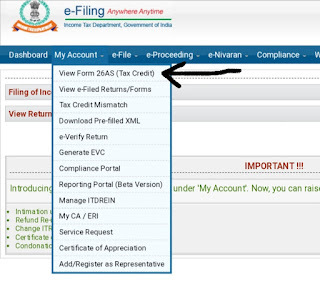 Now start ITR-1 Return file online process you can see step by step . If your income on salary so alway you have to efile ITR-1, Assement years currently running year like as 2018-19. during filling income tax between save because after 15 minutes at automatically log off. 1.Part-A Genral instruction- here give instruction about your knowledge means name mail ID Aadhaar number etc always put the correct data. 2. Computation of income Tax- here you have to fill up all details from help your form-16 part B . Already receive to persently employer if you have not found so again you can take then efile return. 3. Tax details- here you can see the your employeer name , tan number , How much return come back TDS-1, And TDS-2 we are using other sources income like as FD interest, and other income third party earn money. If the deducted tax your other income so always show here TDS-2, if you want claim money of TDS-2 SO necessary will be put total other income. And show the B3. 4. Tax pad and verification- You can check claim money correct or not. If show wrong so check again fill up data. After that you have to fill the primary account number means you have to return money in your bank account and other bank fill the other account if you have available or not after that fill the declaration and then submit. 5. After submit your declaration then you can E verify necessary you can help to Aadhaar details and others option available to verify after the complete verify then your claim return refund within one and two months.